HatchiBabies Hatching Egg on sale! 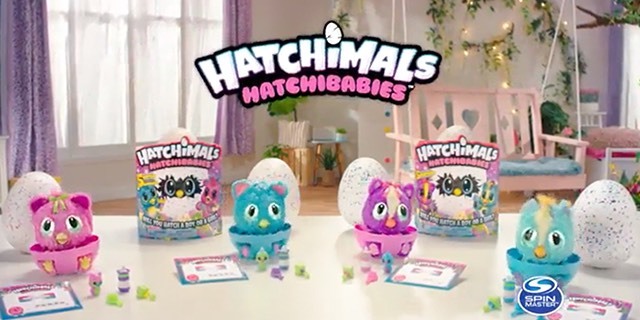 Who doesn’t love Hatchimals nowadays? These cute furry little baby birds are just to die for. If your kid is a Hatchimals fan, this HatchiBabies Cheetree Hatching Egg is the perfect toy for them. This Hatching Egg is just so fun and holds many surprises. The egg itself will give you clues and secret messages on whether your Hatchibaby is a boy or a girl before they hatch. These cute Hatchibabies come with big color-changing eyes, beaks that move, and real rocking motions like a real baby. Once the Hatchibaby hatches, the surprises just keep on coming. The egg will hold the hidden accessories: a rattle, hairbrush, bottle and of course the Hatchibaby! This sweet Hatchibabies Cheetree Hatching egg even comes with a highchair and birth certificate! Your child will have so much fun feeding, burping,, tickling and snuggling the super interactive HatchiBaby. The Hatchibaby will respond back just like a real baby and you can raise them and teach them to talk and play games. The more you play the more you find out how interactive these Hatchibabies are. This is a great interactive toy for your Hatchimals fan at home. You can get this HatchiBabies Cheetree Hatching Egg on sale today! 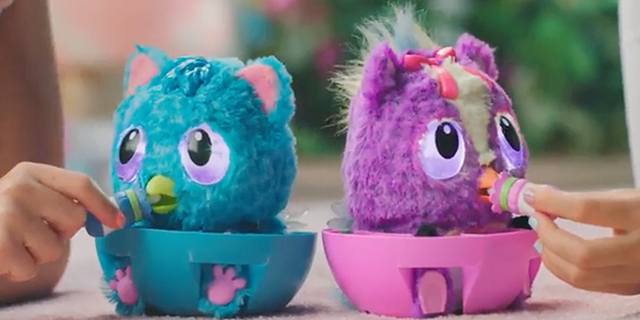 Your Hatchimals fan will love this! Kohl’s has got this cute HatchiBabies Cheetree and Ponette Hatching Eggs on sale for $39.99! Normally $59.99! That is a steal for such an interactive toy with the amount of surprises it holds. This a perfect girl for your Hatchimals fan for Christmas! It feels like there’s many presents in one great toy. Get this HatchiBabies Cheetree Hatching Egg on sale while this amazing price lasts! Previous articleAmazon Free Shipping for ALL Customers + Black Friday Deals! Next articleTop 10 Kohl’s Black Friday Deals!